It is said they were originally a form of war game in which the strongest and bravest soldiers would triumph. The first historical reference to Highland Games-type events in Scotland was made during the reign of King Malcolm III (1057-1093) when he summoned men to race up Craig Choinnich near Braemar in order to find a royal messenger. The games are said to have become a way of choosing the most ablest men for the clan chieftain’s household but it wasn’t just brute strength that was determined. Musicians and dancers were also sought to add prestige to the clan. 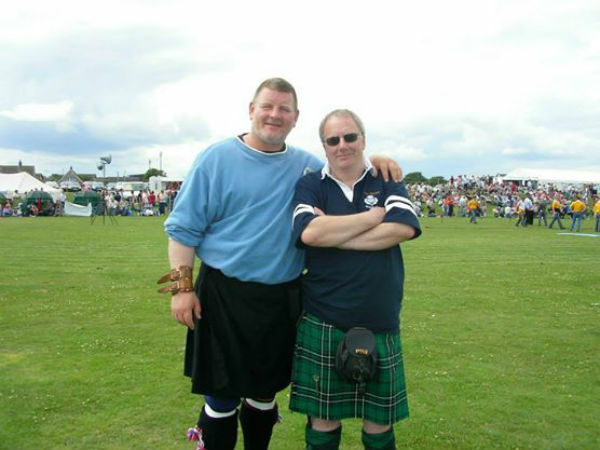 The Ceres Games in Fife are considered the oldest, continuous Highland Games in Scotland and began in 1314. They continue to thrive more than 700 years after the King of Scots, Robert the Bruce, granted a charter for the village to hold a market and fair to acknowledge the farmers, labourers, craftsmen and “the small folk” who fought at the Battle of Bannockburn. The growing tradition of Highland Games was stalled following Culloden, when the 1746 Proscription Acts were passed to dismantle Highland life, culture and society. Aye, the English tried to ban/outlaw everything Scottish. The Braemar Gathering, arguably the most famous games in the world given their royal connections, had its roots in Kings Malcolm’s race but its modern incarnation began in 1815 when a mutual assistance society of wrights – or builders – was formed in the town. The workers were to hold a procession every year and in 1832, foot races were held for the first time – and have been run every year since. The games were attended by Queen Victoria in 1838 with royal support continuing since then. 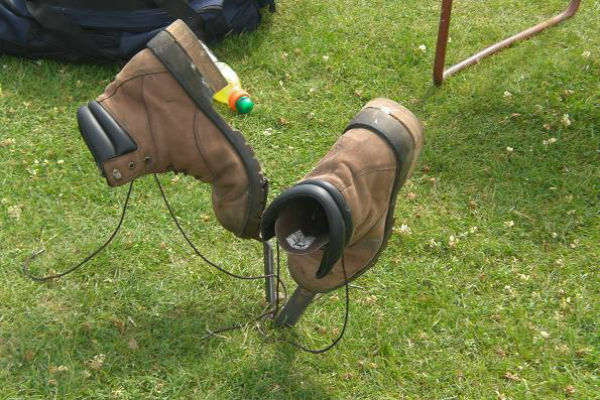 There are around 100 Highland Games in Scotland every year. The Cowal Highland Gathering has long claimed to be the biggest games in the world. At its peak it drew 30,000 spectators but numbers are more likely to be in the region of 20,000 over the three-day event. The games hosts the World Highland Dancing Championships with competitors from US, Canada, Australia commonly taking part. It was (not now though) also a huge day in the Pipe Band calendar with over 100 bands going there – I know, I used to be manager of a greade 1 band (grade 2 at the time). The Braemar Gathering attracts around 10,000 spectators a day. Similar numbers are drawn to the Lonach Highland Gathering in Strathdon, Aberdeenshire, with the highlight undoubtedly the march of the Lonach Highlanders. Around 200 men of all generations, drawn from the glen and armed with Lochaber axes and pikes, join the march from Belabeg to Lonach Hall in a 175 year tradition. Lonach grew in popularity due to the regular attendance of comedian Billy Connolly, who formerly owned nearby Candacraig House. A number of his house guests would also attend Lonach, with late comedian Robin Williams taking part in the hill race. Comedian Steve Martin and actor Sean Connery have also been spotted in the crowds. Hollywood actor and a son of Crieff, Ewan McGregor was appointed Chieftain of the Crieff Highland Games in 2001. As Scots moved around the world, so did a version of the traditions and culture that binded them. There is barely a corner of the globe that does not have a Caledonian Society. Caledonian Societies were rapidly formed in the 19th and early 20th Centuries to reflect emigration of Scots with Waipu, New Zealand, believed to be the first. Such societies were widely formed in North America to help draw together new arrivals and act as a reunion point. The first Highland Games in the US took place in 1836 when the Highland Society of New York held its first “sportive meeting”. The largest event is now said to be the Grandfather Mountain Highland Games in North Carolina, which has an attendance of 30,000. Liz and Paul (mcleanscotland tours) have attended Highland Games in USA many times. 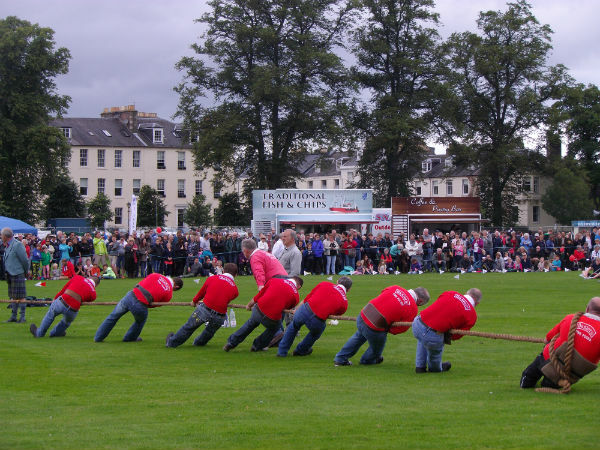 While many Highland Games have modernised their schedules with strong men contests, haggis eating and wellie flinging competitions, there are a few traditions that form the heart of the Highland Games. It’s impossible to imagine going to a games and not seeing the tossing the caber event and the other heavyweight contests. The caber (tree) is just short of six metres tall, lifted, balanced and completely flipped by the competitor. The highest scores goes those who land the caber straight ahead, in the 12 o’clock position. No one really knows how the contest began but it has been suggested that cabers – today often a reclaimed telegraph pole – were first used to help men cross fast flowing rivers. AS A PART OF YOUR SCOTLAND TOUR booked with mcleanscotland, you can include these events in your itinerary.